We are a leading Manufacturer of y cable box, qd y cable, qd cable, 3.5 mm double pin, headset foam cushion and rj9 headset splitter from New Delhi, India. 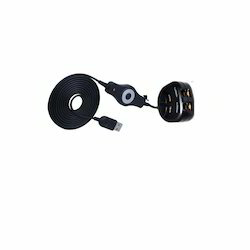 We are one of the esteemed names in the market that are engaged in offering a wide collection of Handset Connecting Cord. The offered plugs are designed keeping in mind the varied requirements of the customers and available in several sizes. With their optimum finish and excellent strength, these plugs are highly appreciated by the customers. We are eminent names in the industry in offering a wide range of QD Y Cable to our patrons. These are made from the optimum quality raw material under the visionary supervision of the best industry experts at our well-equipped infrastructure. 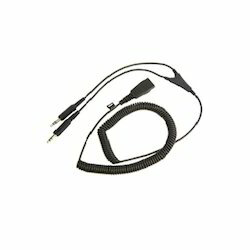 Apart from this, for high strength and excellent damage resistance, these cables are used for connecting 2 headsets for Agent and Supervisor. We are one of the trustworthy names in the industry in presenting a wide gamut of QD Cable to our esteemed customers. Backed by the vast industry exposure, we are involved in offering a wide range of 3.5 mm Double Pin in the market. These products are manufactured from best quality components and widely admired for their flawless performance and fine finishing. Customers can avail these products in several options to fulfill the varied requirements of the customers. 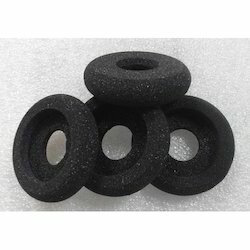 Our respected clients can avail from us a quality approved the range of Headset Foam Cushion. These cushions are made available in multiple sizes to fulfill the varied needs of the customers. High-grade materials are obtained from reputed and trusted vendors for manufacturing these cushions. Provided at a market leading price, it is widely preferred in a number of industries. We are offering our customers precisely designed the range of RJ9 Headset Splitter. The offered boxes are admired for their damage resistance, dimensional accuracy, and durability. Both standards, as well as customized options of these boxes, are made available for the convenience of the customers. 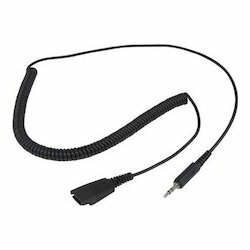 With the help of well-trained professionals, we are engaged in offering 2.5 mm QD(Quick Disconnect) Cable to our clients. 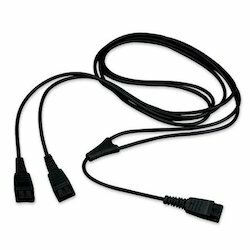 The offered cables are made available in various sizes to cater to the varied customer needs. Extensively used in various fields, these cables are highly admired in the market. Apart from this, customers can avail these cables at market leading prices.